King Kong has been named by many film critics as one of the most iconic films to ever emerge from Hollywood. It has certainly produced its share of cliches, as well as a rash of remakes, including one in 1976 and the excellent Peter Jackson version in 2003. 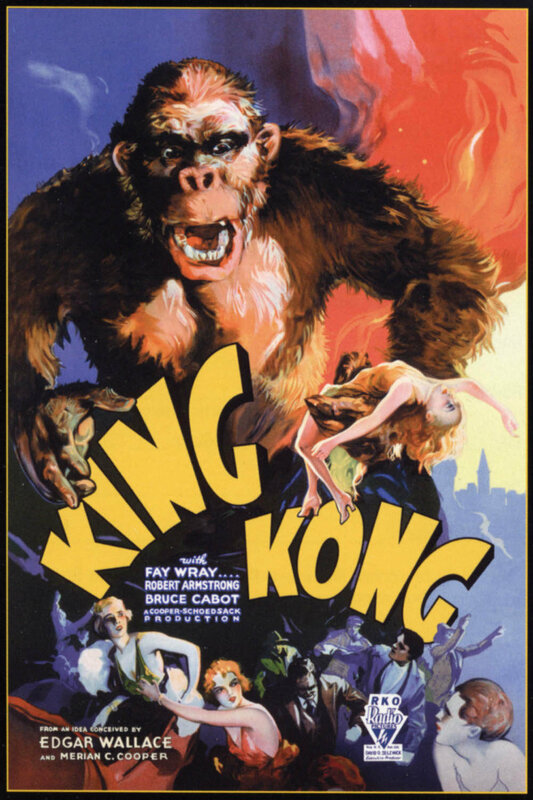 In the 1933 original, the plot isn’t convoluted in the slightest: Kong becomes fascinated with Ann, the heroine, and saves her from all sorts of pre-historic beasties, which gives the men a chance to capture him and drag him to New York, where he escapes and causes mayhem, by snatching the heroine once more…only to die at the top of the Empire State Building after putting her in a safe place. Yeah, I said it was cliched and simple. But audiences loved it.